High-performance JBL drivers paired with digital amplification, processing and a meticulous acoustic design deliver unmatchable sound from a mid-size speaker. The optimized low- and high-frequency transducers combine with advanced electronics and DSP to present full-range stereo sound with a wide stereo image – all from within a single enclosure. Wherever you play it, expect applause. The JBL Authentic L16 offers easy wireless audio playback from the latest and best in mobile devices. 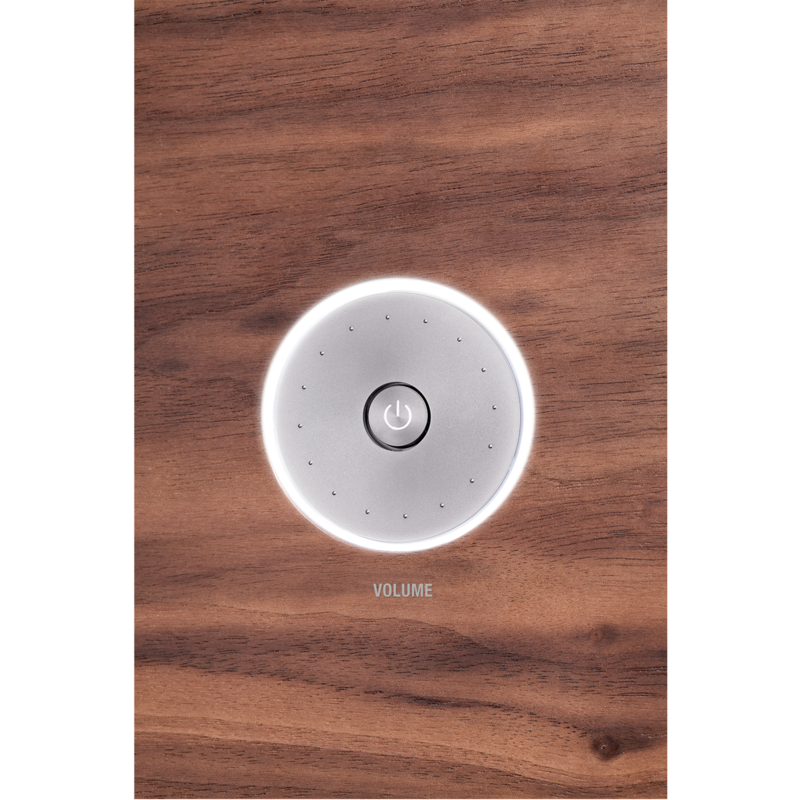 It offers AirPlay for iTunes and iOS devices, DNLA for Android devices and Windows PCs and Bluetooth® connectivity – including instant Bluetooth® pairing by way of Near Field Communication (NFC) technology. 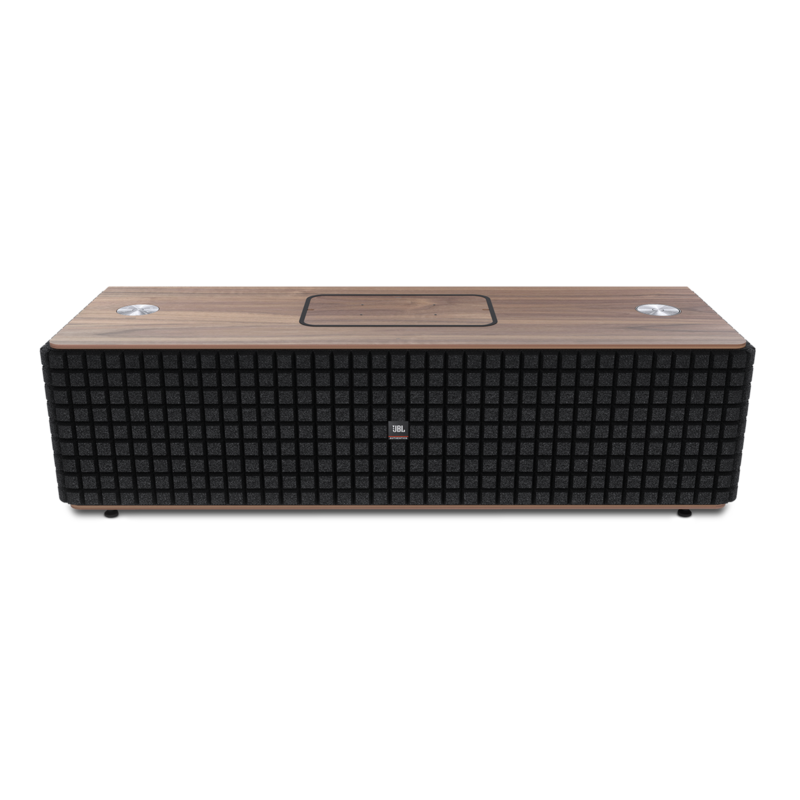 The speaker automatically switches streaming formats as needed, simplifying use with all your devices. Not only that, but the L16 connects with analog, optical, and phono preamp technology, making it an all-in-one champion for your household devices. Harman Clari-Fi™ technology replaces the details lost in today’s compressed music files, adding detail and energy to any low quality music stream. The JBL Authentic L16 has two USB ports, one for charging phones, the other for charging tablets. Where sonic legend meets modern connectivity. With its single-enclosure speaker system and wireless audio streaming, the JBL Authentic L16 was born to resonate with legacy. 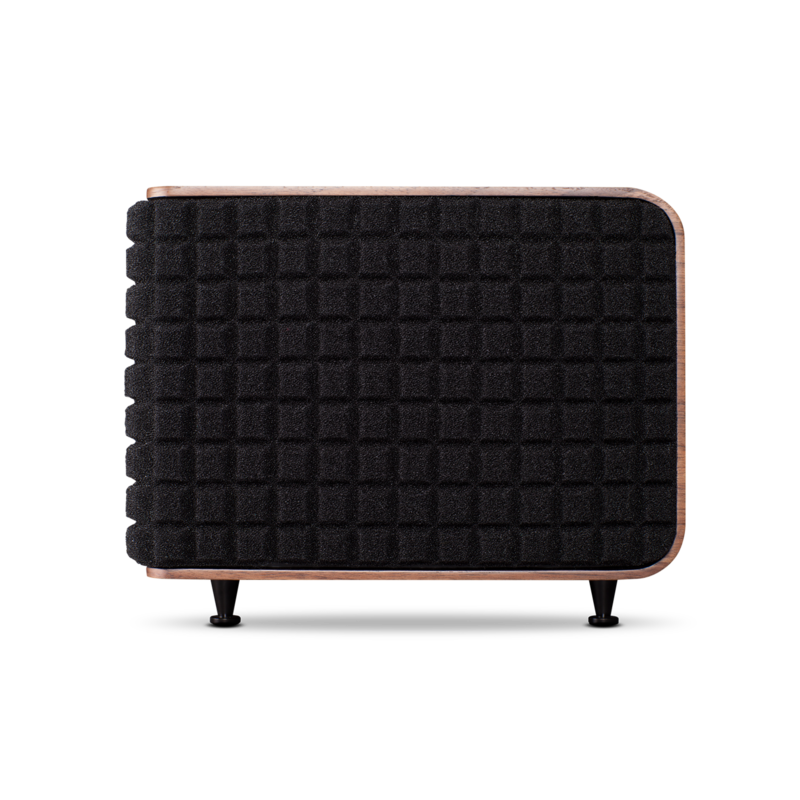 Inspired by the legendary JBL Century L100 loudspeaker, the JBL Authentic L16 blends classic acoustic speaker design and advanced wireless technology. 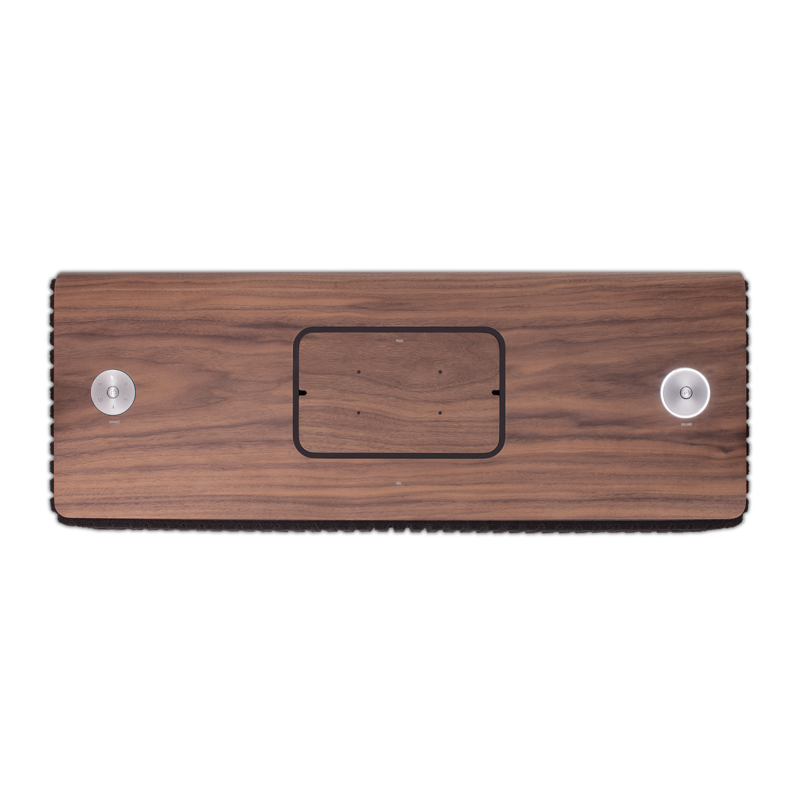 It offers a real walnut-veneered wood enclosure, exceptional audio quality and easy wireless connectivity to a wide range of devices via AirPlay, DNLA and Bluetooth®. Not only that, but with the L16’s additional analog, optical, and phono preamp jack connections, you’ve got yourself an all-in-one masterpiece of compatibility. 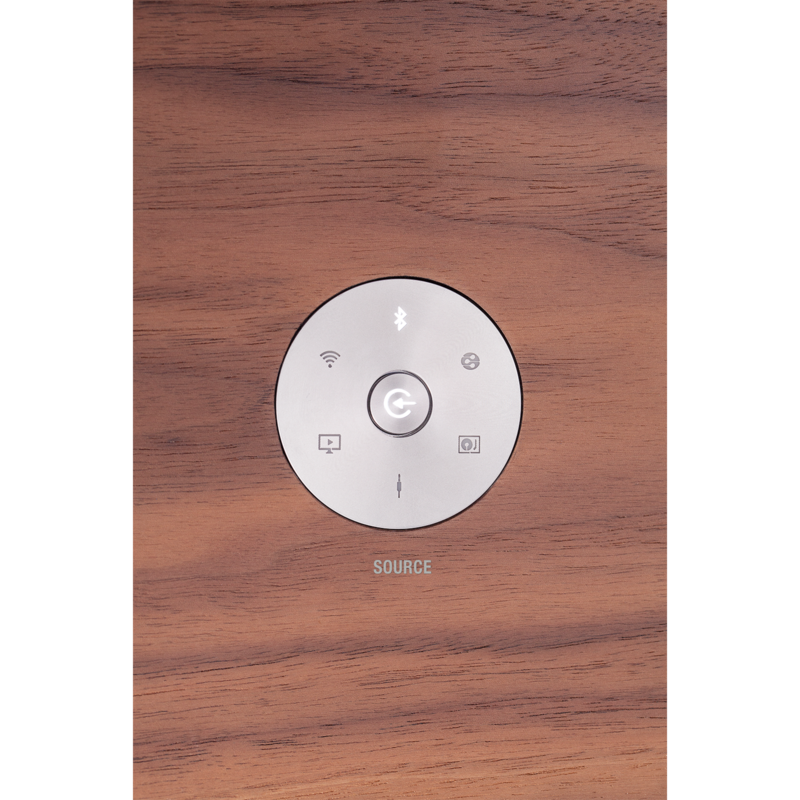 And it’s as convenient as it’s powerful: Near Field Communication (NFC) technology lets you pair a Bluetooth® device simply by tapping it on the speaker. Meanwhile, a free JBL MusicFlow app lets you easily set up and control the speaker with your iOS or Android mobile device. 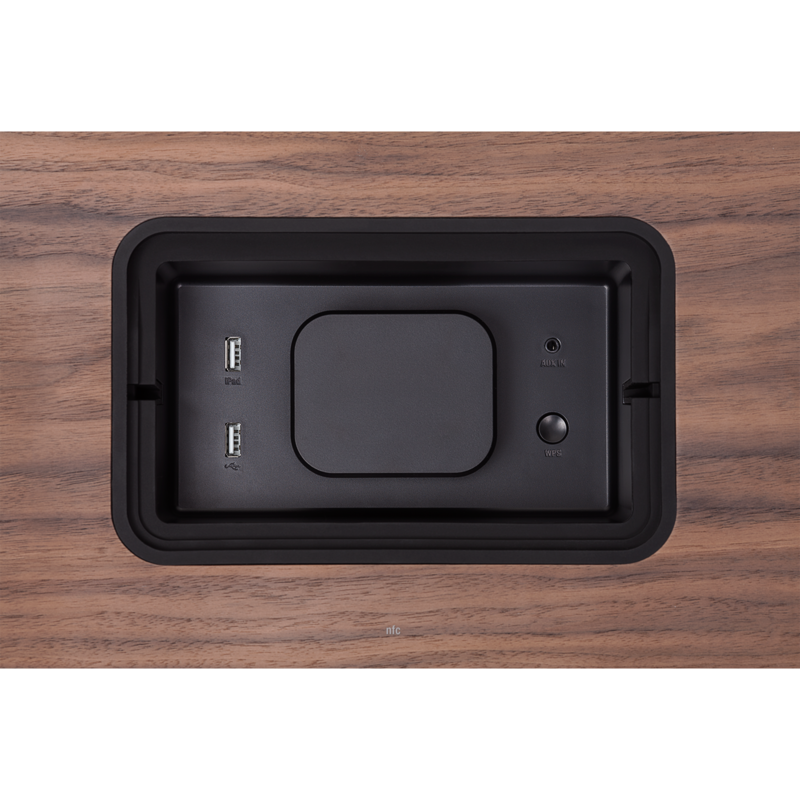 Using the speaker’s built-in USB ports, you can charge compatible mobile devices. Sporting 300 watts r.m.s. 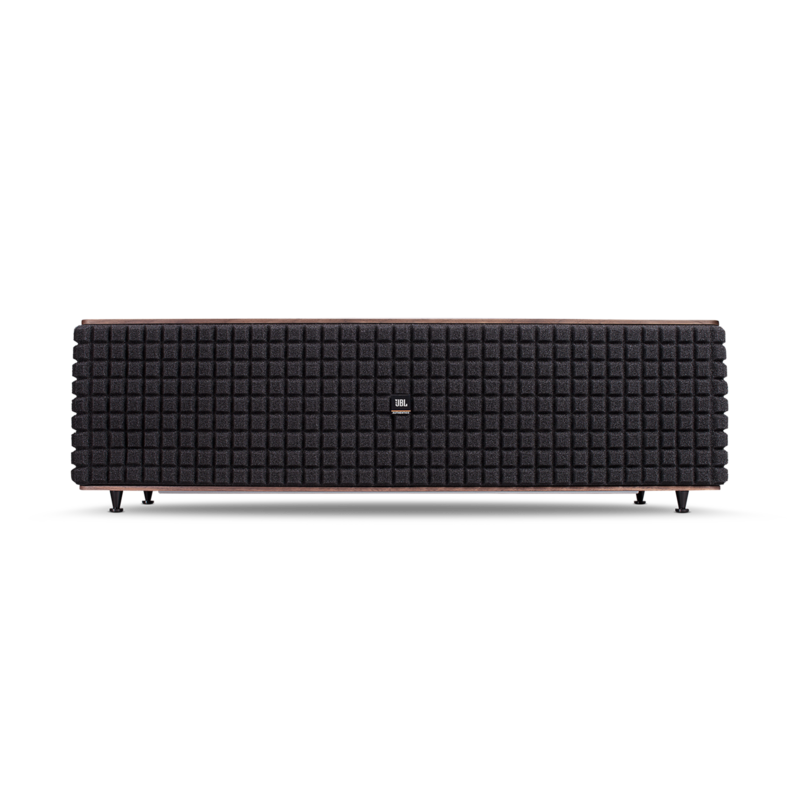 of power, custom JBL low-frequency and high-frequency transducers, advanced DSP technology and a frequency response of 35Hz – 35kHz, the JBL Authentic L16 produces full-range sound and a wide stereo image from a single, mid-sized stereo speaker. Harman Clari-Fi™ technology replaces all the audio details lost in the shuffle of today’s compressed music files, adding detail and energy to any low quality music stream. With its unstoppable acoustics and its all-terrain compatibility, the JBL Authentic L16 is where the future becomes an instant classic. 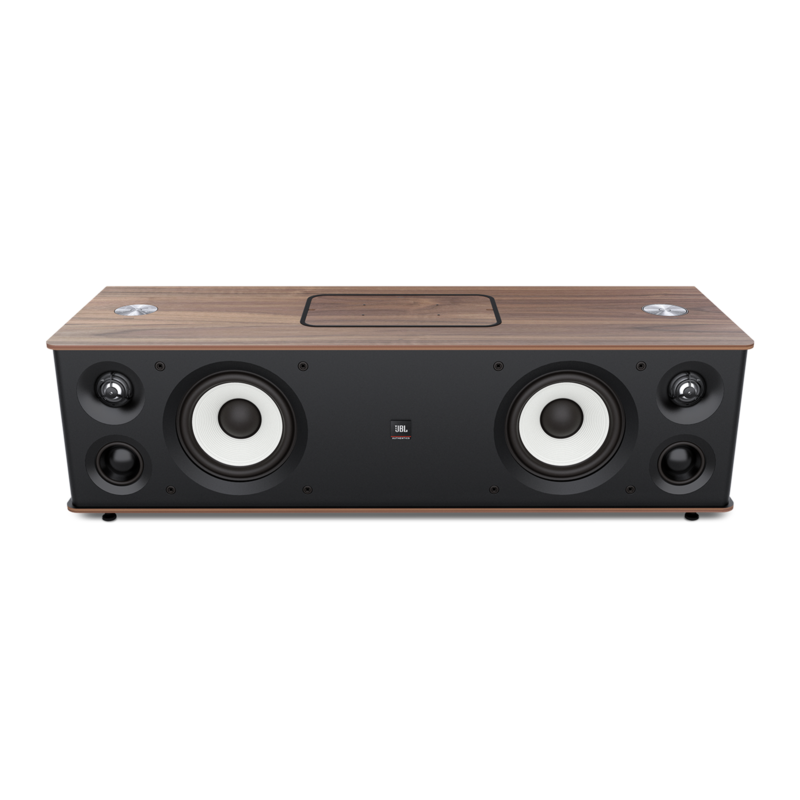 JBL Authentics L16 is rated 4.4 out of 5 by 23. Rated 5 out of 5 by TonyThe from The best...but please provide update for Airplay 2 Love this speaker SO much still but it needs to be updated to Airplay 2...please tell me this is something you are working on. Support for legacy products says a lot about a company! Rated 5 out of 5 by ECBJ from Unbelievable Speaker... I recently got this speaker from my parents for my birthday and WOW, I am seriously impressed. The speaker is perfection. 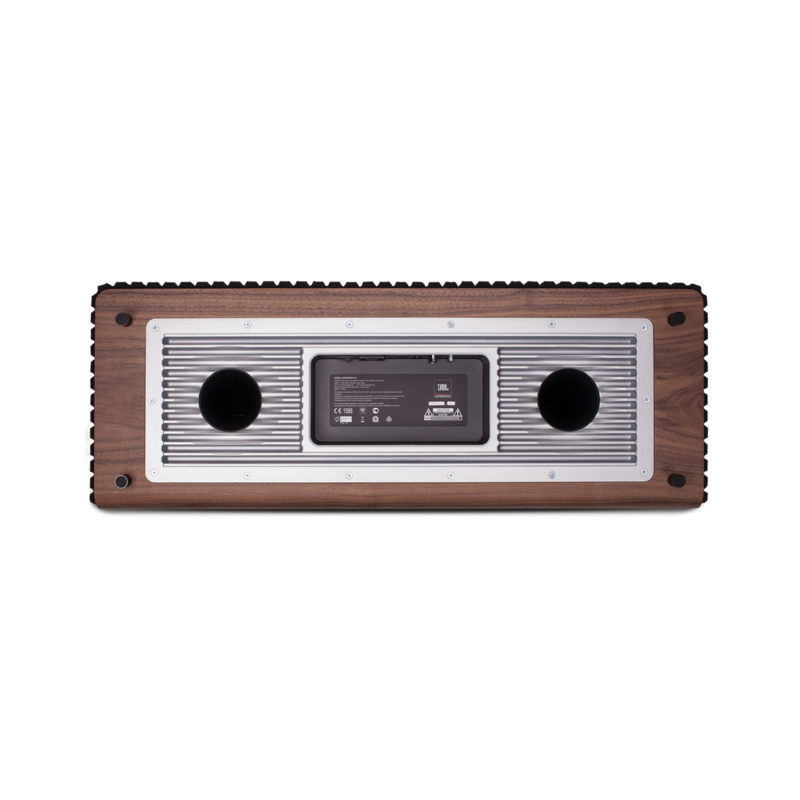 The build quality is superb and the sound it produces is very clean with amazing bass. The JBL app is very nice which allows you to control the bass, tremble and highs, which really helps when listening to different genres of music. Overall, extremely happy and proud to own one. Rated 5 out of 5 by pjhuff_fl from About time for this level of technology! Purchased a month ago, this speaker system is by far the best that I've heard from wireless speakers! I owned a pair of JBL L100's, and purchased the L16 thru JBL due to their reference to the L100 legacy. Though not exactly an equivalent, it's sound is quite impressive. I couldn't be happier considering this is a wireless product. It's minimal footprint, lack of wires and ease of setup along with superior sound are what I've hoped for, for a very long time. If any improvements could be made, I'd hope for more variety in Wi-Fi connectivity options, a greater range of sound equalizing options, as well as other improvements within the JBL Sound App. In the future, I hope JBL will be creating separate left and right channel wireless speakers comparable to the L100's with the same minimal footprint (one can only dream!). Overall though, I am very pleased with this investment. Rated 5 out of 5 by ariana from awesome features great sound, very useful i use nearly every day whther its working out or just relaxing! Hello, does anyone know where can I buy&nbsp;Qi module for L16? I cannot find it anywhere, and since i've got a mobile phone with Qi I would appreciate to have it installed on my L16. Thanks a lot!! Unfortunately this accessory never came to fruition. It does not exist. Hi I would buy this product but I wonder one thing about the app on windows mobile phone 10, have such a phone, and how do I change the equalizer settings? The app can adjust the equalizer, however, it's only compatible with IOS and Android devices. I am trying to connect to the speaker to the internet, but it seems I need to do it through the JBL music app on my iPhone, and the app won't work on iOS 11. What should I do? Hi, Thank you for your question. The JBL Music will be updated to support iOS 11. The update is planned to get a release end of October. In the meanwhile, you can use an Android phone to connect the device to the Internet or manually log into the web interface of the device. I advise you to look through our Owner's manual in the download section of the product page. Is the L16 able to decode and play back 24 bit / 96 kHz audio files? The optimized low- and high-frequency transducers combine with advanced studio quality 24 bit / 96 kHz electronics and DSP to present full-range stereo sound with a wide stereo image &ndash; all from within a single enclosure. 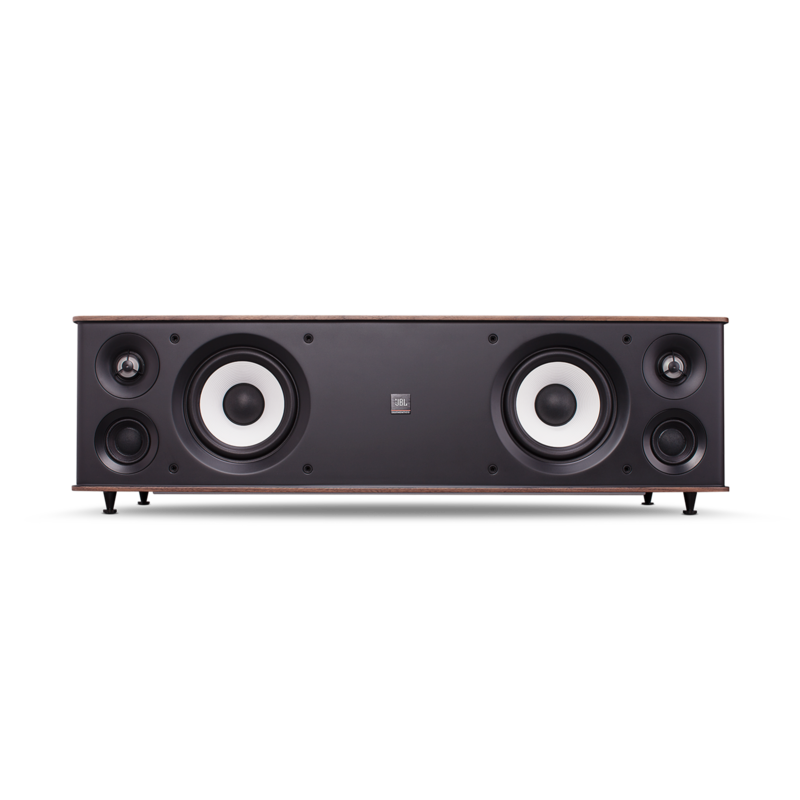 The real outer dimensions of JBL L16 are 71 cm x 21 cm x 26 cm (W x H x D) and the weight is approx. 9.6 kg. These are NOT packaging dimensions. Hi. I own the L16 and have trouble with the wifi disconnecting when I change songs streaming from iPad and Mac. It is also often hard to connect the player device with speaker.Do you have a firmware upgrade to fix this or other solutions for this problem? I bought the L16 a week ago and unfortunately I have the same problems, Anders is talking about. In almost every manual change of the songs via Airplay the connection breaks off and the speaker must be re-connected. I hope that there will be a solution to this problem soon. Will my Astell &amp; Kern 120II DAP with Hi-Res FLAC library be compatable for playback with the L16 ? It can connect to l16 via digital out (spdif, would use l16 dac) or headphone. I play flac via squeezebox and optical out. The L16 or L8 is it compatible with FLAC dlna streaming ? I will use it with a Logitech media server. 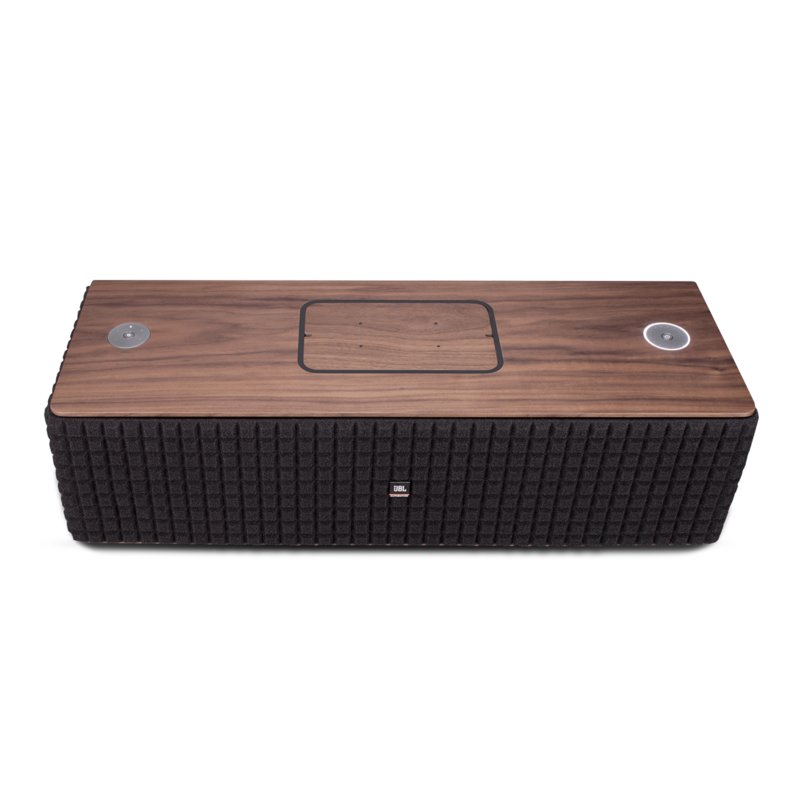 Unfortunately, the JBL Authentics L16 is only capable of playing MP3, WMA, AAC, or PCM audio files via DLNA. DLNA does not support FLAC and as stated on page 11 of your owners manual.